Organize everything in one unit. Outfit your office with a space saving solution. Store stationary, forms, supplies, and organize projects with ease. Cabinetry is formed from compressed wood with a laminate finish and has a solid fiberboard back for strength and rigidity. Strong hardboard adjustable shelves form letter-size compartments. Includes two drawers for storage of writing implements and small office supplies. Black plastic molding complements finish while doubling as a convenient labeling area (labels are included). 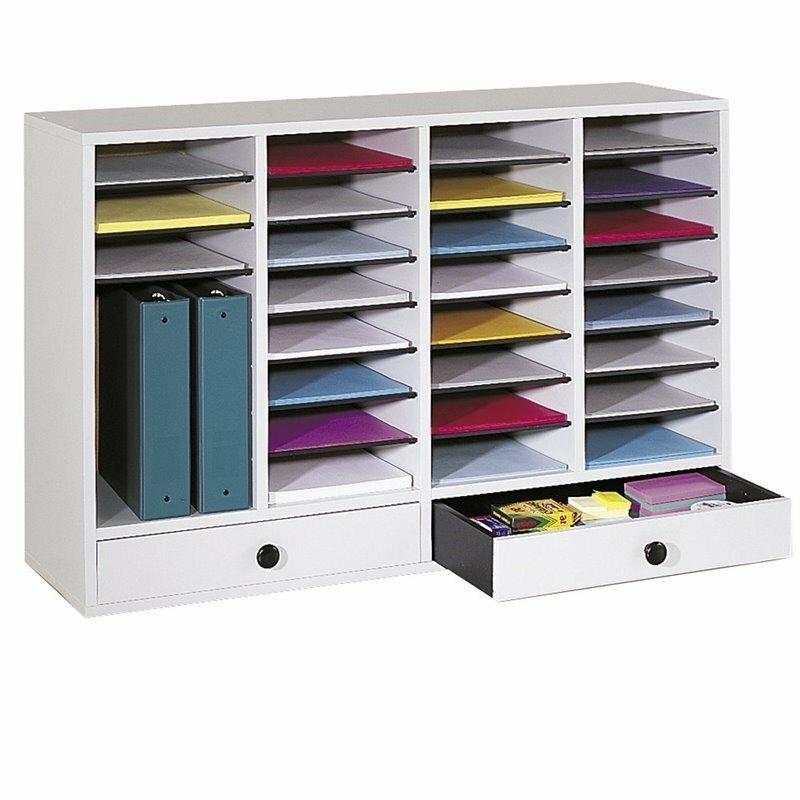 Mix and match with additional organizers with or without drawers to form a custom storage unit to meet individual needs. This consumer rating is based on 1 reviews of all Pemberly Row products. The Pemberly Row Grey 32 Compartment File Organizer with Drawer has not yet been reviewed, be the first!